Saburo Takayasu 7th dan Shihan, is one of the very few Japanese students of Saito Sensei to live and teach Aikido abroad. Takayasu Sensei, was born in the Kanto area, made famous as the site for many of the Japan’s oldest martial arts schools. He studied at Ibaraki University and trained at both the university’s Aikido dojo and the Iwama Dojo from 1967 to 1973 under the tutelage of his teacher, Morihiro Saito Sensei 9th dan. He was present at the last class taught by O’Sensei in Iwama in 1969. In 1974 Takayasu Sensei travelled to Australia. He now lives in Sydney and has continued to practice and teach the traditional “takemusu aiki” form from the Iwama dojo, in Australia for more than 35 years. 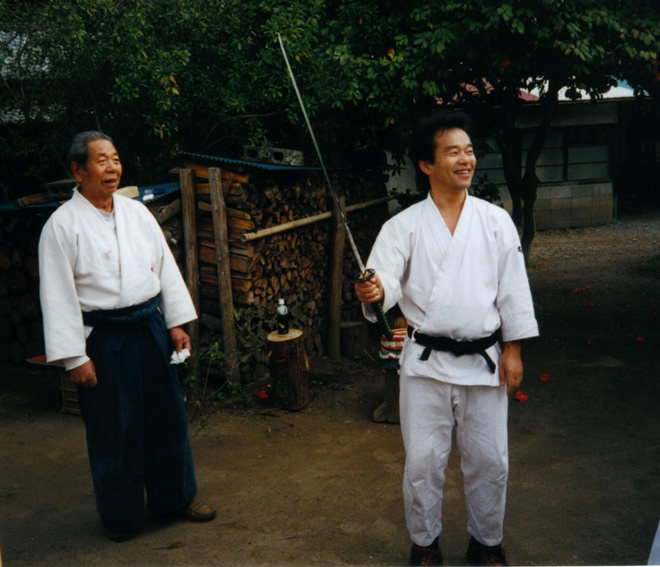 He also maintained a close relationship with Saito Sensei over his life and was instrumental in arranging for Saito Sensei to travel to Australia to conduct seminars in 1983, 1985, 1986, 1988, 1995, 1996, 1997 and 2000. The last seminar was attended by over 300 international aikidoka. In 1980, Takayasu Sensei established the Takemusu Aiki Association in Australia to formalise the instruction and membership of clubs that had been established by his students, see www.aikidoaus.com.au. In 2001, Takayasu Sensei took a group of his students back to Iwama for a special training period with Saito Sensei. Takayasu Sensei continues to teach the Aikido of O’Sensei’s Iwama dojo that he learned from his teacher Saito Sensei and grade students under the Aikikai ranking system.